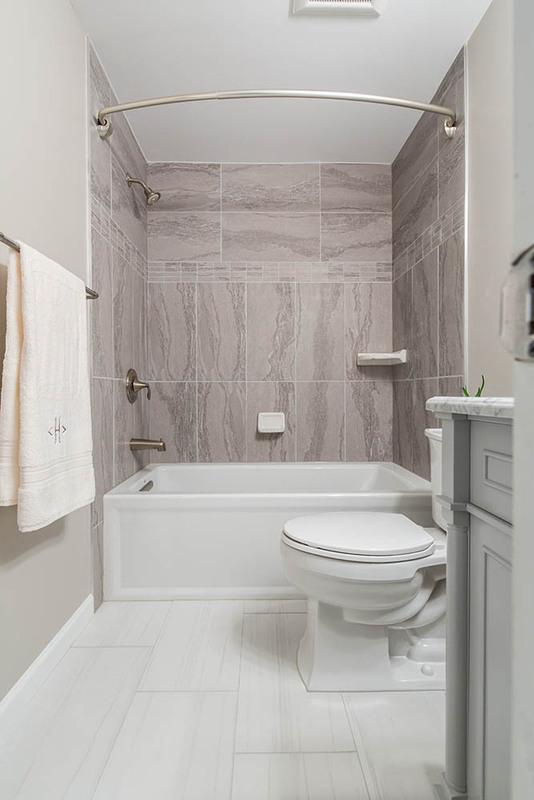 Our client was ready to update to sell! 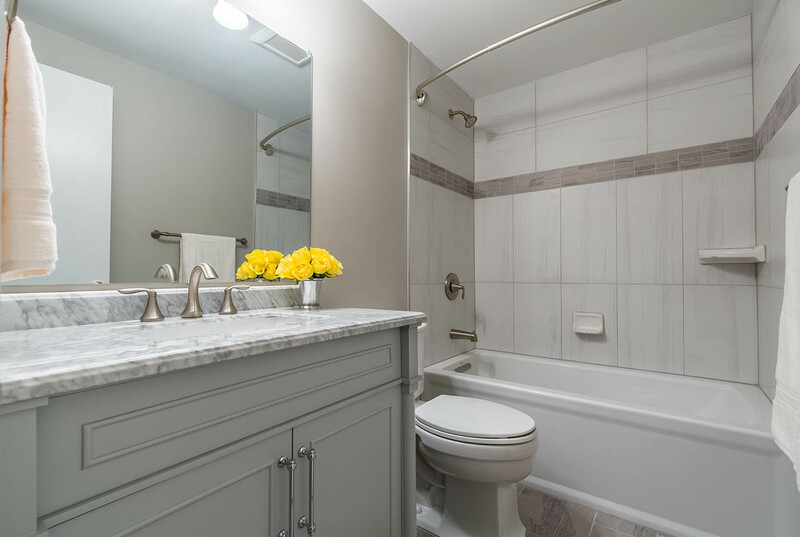 We replaced the original 1980s bathrooms with updated colors and materials that will appeal to today’s buyers. 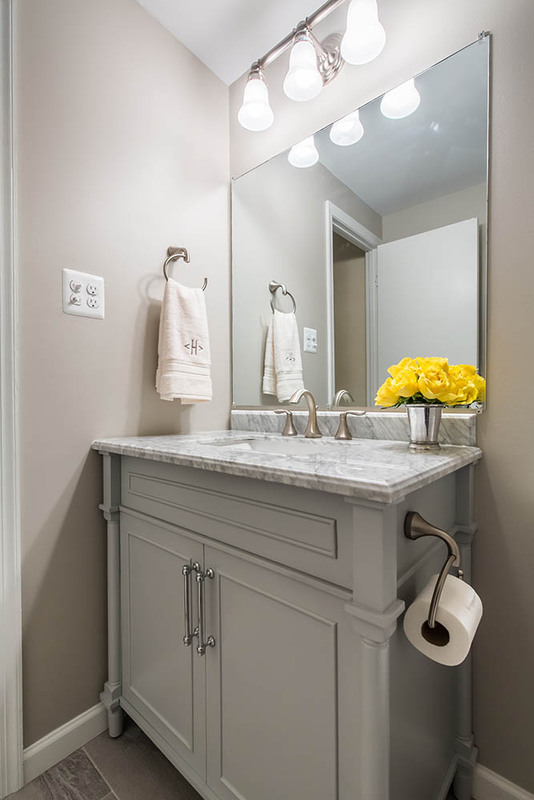 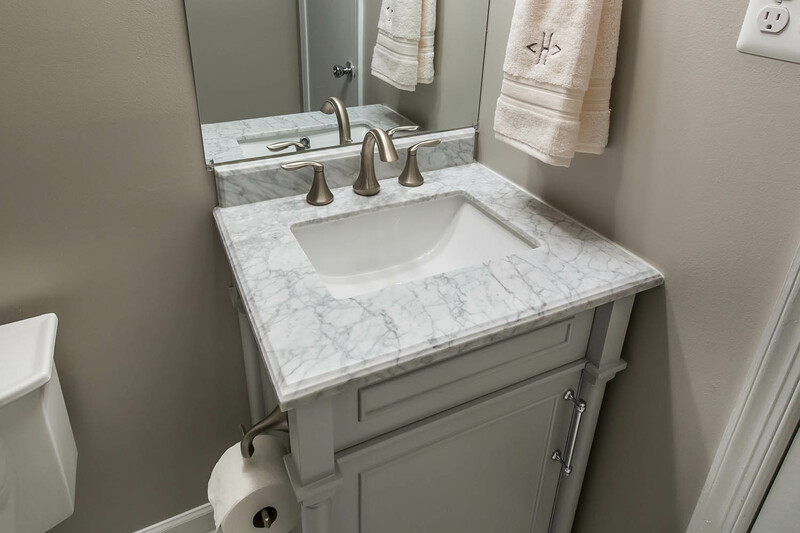 We incorporated cool and warm tones: gray furniture-style vanities and porcelain tile balanced with taupe wall paint. 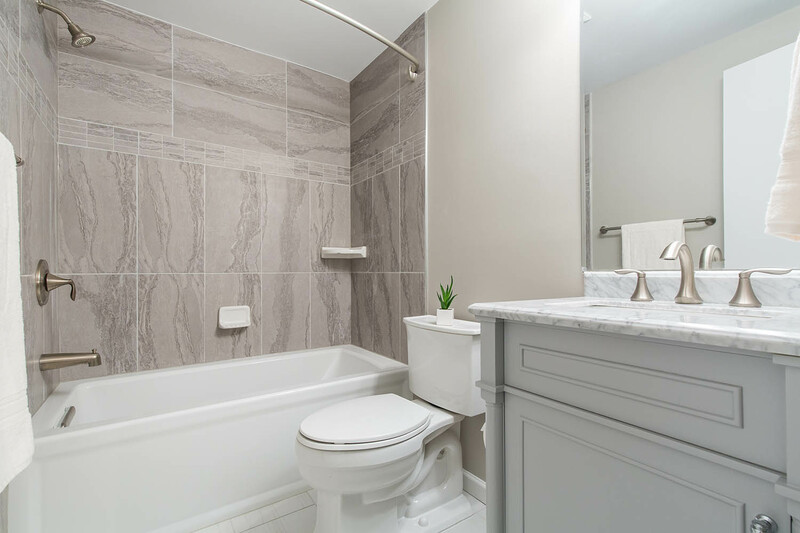 Despite a budget-friendly renovation of the hall and master baths, quality was not sacrificed. 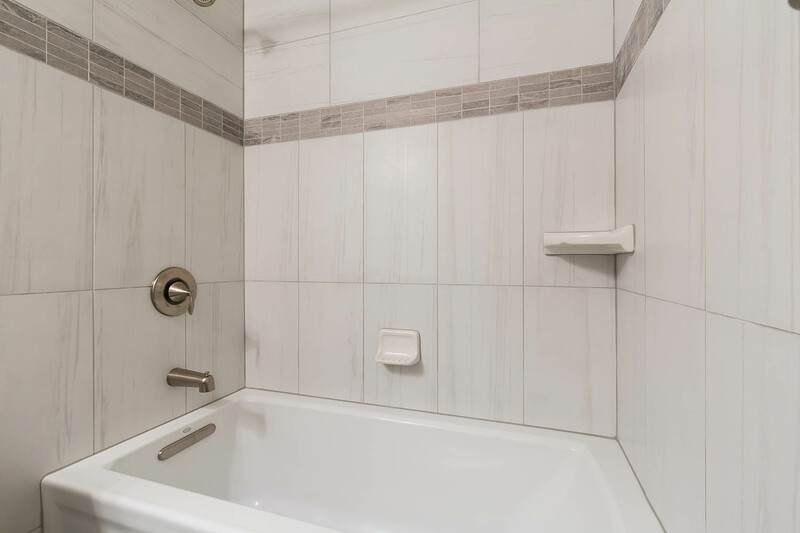 Take notice of the detailed tile work in the shower – beautiful rivers flowing on the walls and floor.